A billion dollars. 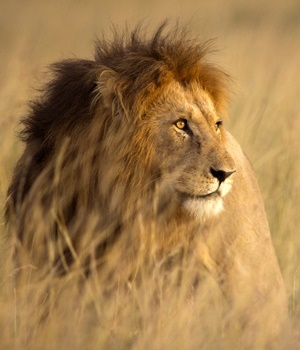 That’s approximately what it would cost to save the African lion. That’s a billion dollars each year, every year into the foreseeable future. Protected areas are the cornerstone of conservation, yet we found that most of Africa’s extraordinary parks face grave funding shortfalls. Parks without funding often become protected in name only. Their staff, including the rangers and guards on the frontlines, simply cannot function without funds that pay for working equipment, rations, petrol and to keep the electricity running. Sometimes even salaries go unpaid. We then applied three thresholds to generate a likely range of funding required to effectively conserve lions; $978/km2 per year based on budgets provided by the African Parks Network; $1 271/km2 based on a new model we developed which estimated what it would cost to conserve lions at about 50% of their carrying capacity; and $2 030/km2 based on calculations of the cost of managing lions in unfenced protected areas. The answer is between $1.2bn to $2.4bn – or $1 000 to $2 000/km2 annually. Critically, though, we’re not talking about lions in isolation. This price tag is for securing most of Africa’s protected areas that still contain lions – 282 massive "lionscapes". The parks are also home to thousands of additional species, everything from dung beetles to elephants and the plants that sustain them. They also support communities living adjacent to them, and provide jobs to a much wider pool of people. A billion dollars is only 2% of the $51bn allocated each year by foreign governments and multi-lateral organisations to advance development in Africa. In this context, finding an extra $1bn seems a prudent investment, given that it will be used to safeguard the real estate on which potentially millions of new jobs rely.